The Queen’s Park, which comprises a separate part of the Palace Park. It is open to the public from 18 May to 1 October. The area that currently comprises the Queen’s Park has served as a park since 1751. At that time the area was part of an unbuilt plot of land known as Sommerro, which the mayor of Christiania, Christian Henrik Støedt, developed into a small Rococo garden at his country home. He planted elegant, symmetrical flower beds encircled by fruit trees, ornamental borders and a kitchen garden. The remainder of the plot consisted of fields, pastures and several ponds. 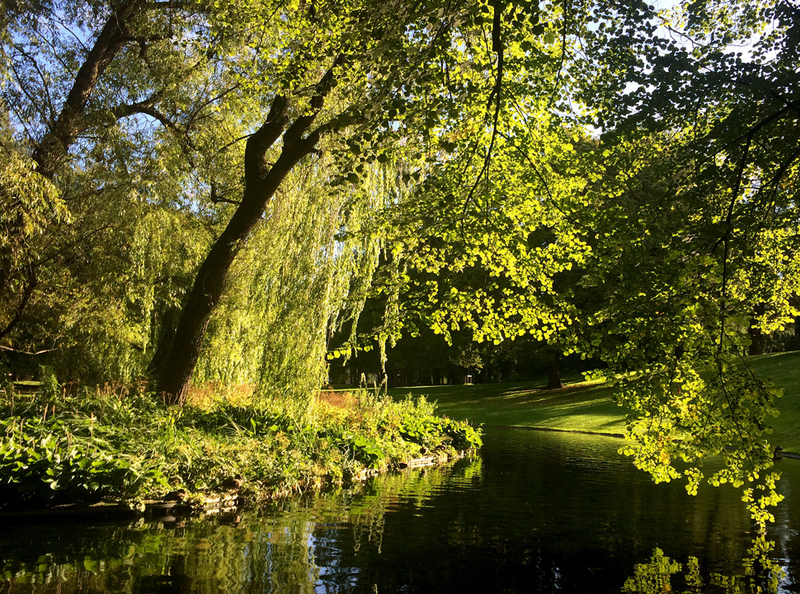 In 1778, the plot was taken over by Bernt Anker, a well-known figure among Christiania’s citizenry. He kept the Rococo garden, but developed the surrounding area into a more natural-looking park with trees and an orchard. Lindaalleen, the boulevard that ends at what is today Henrik Ibsens gate, dates from the time of Bernt Anker. 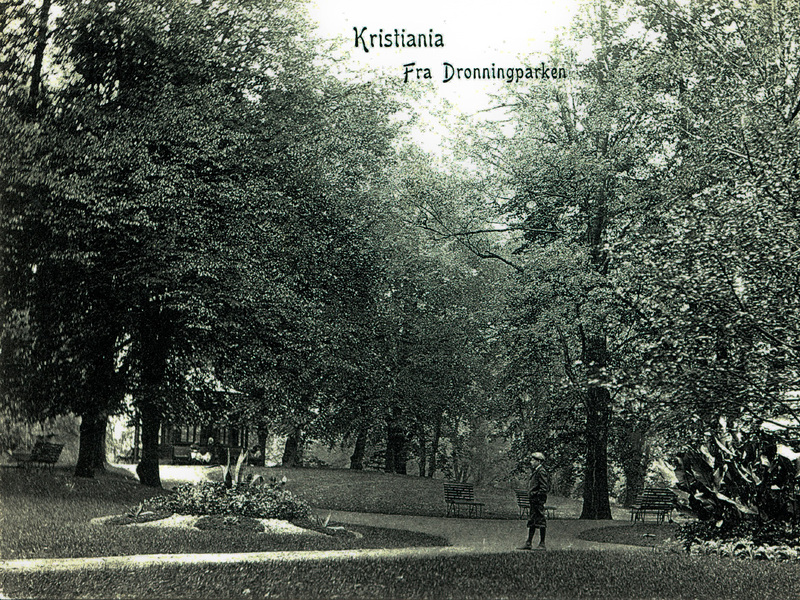 Now, more than 200 years later, the boulevard stands as a reminder of how old Christiania and the park appeared at the time. When the planning of the Royal Palace began in 1823, efforts also started to purchase the land allotments around Bellevue where the Palace was to be located. 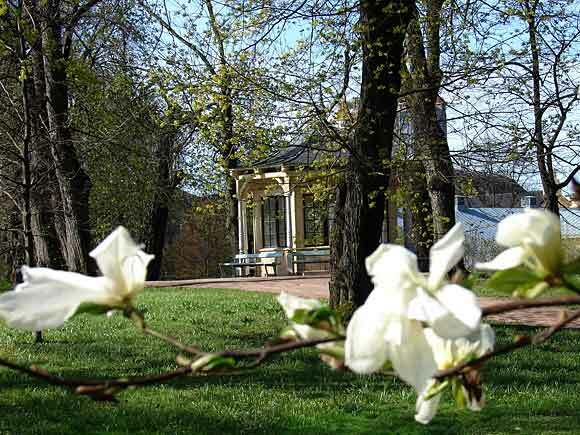 The main part of Sommerro was purchased for 18 000 rix-dollars at an auction in 1840, and Palace Gardener Martin Mortensen incorporated it into the Romantic park landscape that was to surround the new King’s residence. The Swiss-style octagonal gazebo was erected between 1854 and 1857. The Queen’s Park has always played a special role in the park area around the Royal Palace – a park within the park reserved for the Royal Family when they are in residence at the Palace. The park has changed through the years, but has always retained the main features of a park created in the Romantic style. The Palace nursery is now working to recreate this part of the Palace Park into an especially lush, floral area and to increase the biodiversity of the park. 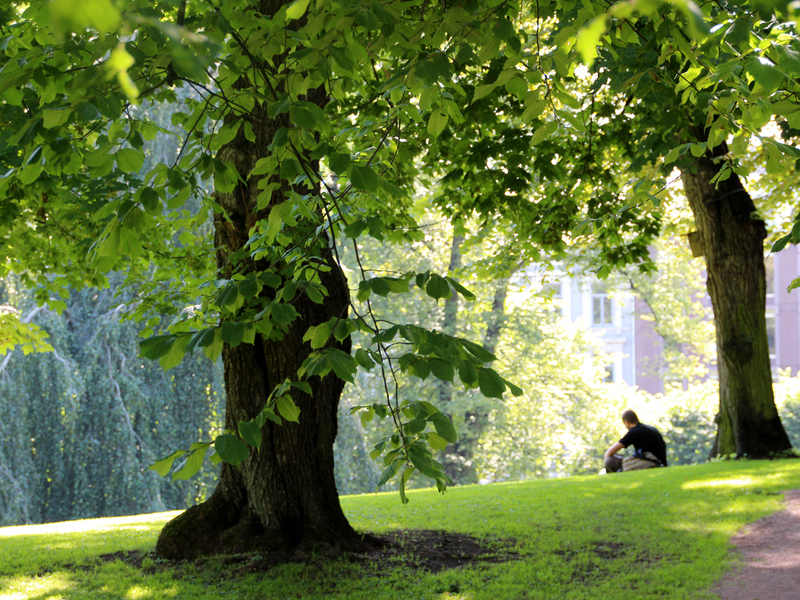 Here, plants, insects, birds and other animal life are viewed in connection with an interesting and important part of Norwegian horticultural history. 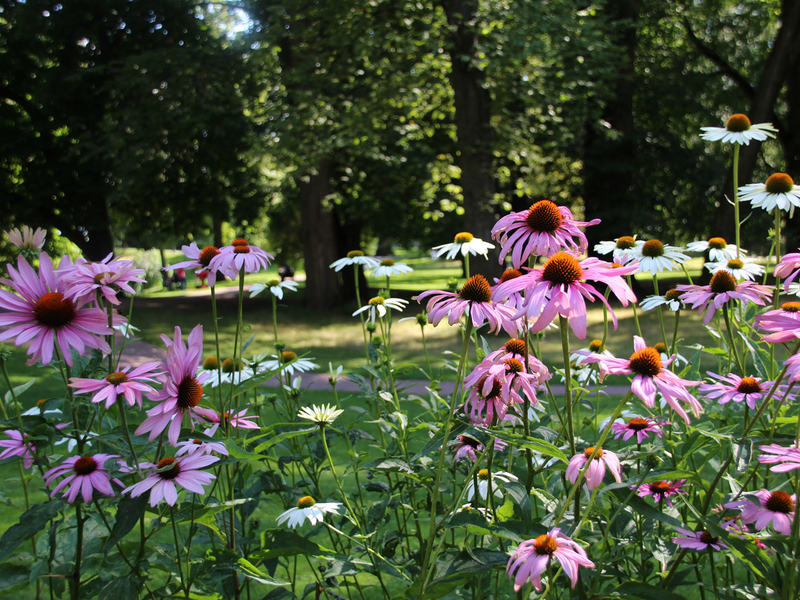 Echinacea purpurea in the Queen's Park. Photo: Liv Osmundsen, the Royal Court. 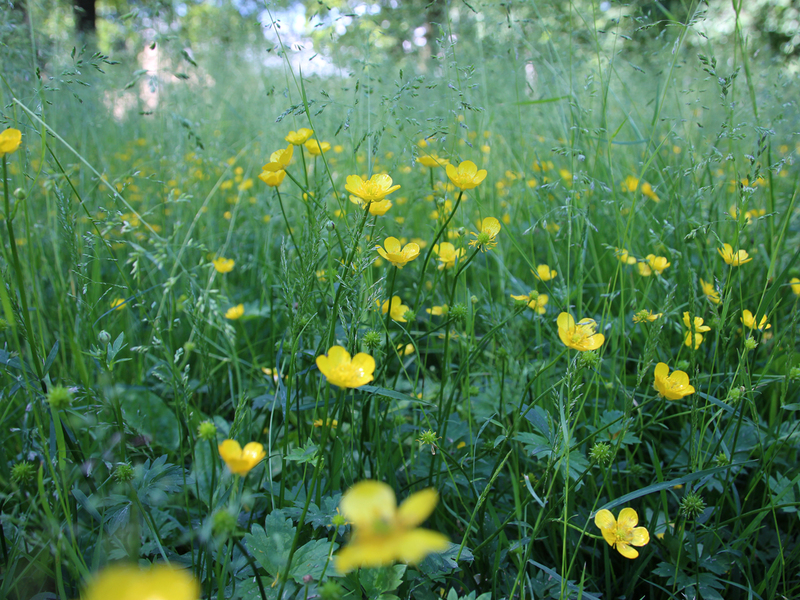 A part of the Queen's Park is kept as meadow to enhance the biological diversity in the park. Photo: Liv Osmundsen, the Royal Court. 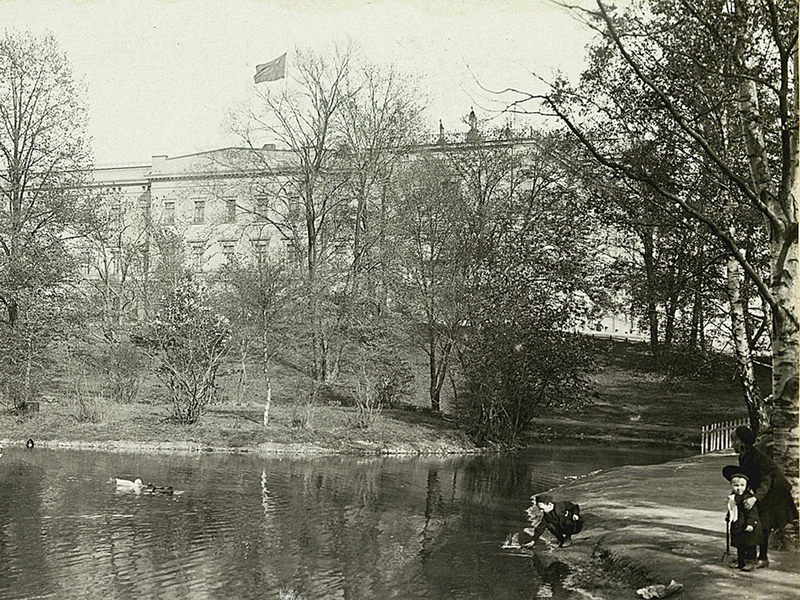 A postcard picturing the Queen's Park in 1905. From the Royal Collections. From the Queen's Park. A photo from the Royal Collections. A peaceful place in the middle of the city. Photo: Liv Osmundsen, the Royal Court. The Palace Park has its own Facebook page where you will find photographs of the park throughout the seasons, insight into the parks history, and information about new plans and ongoing activities. The page is for everyone who enjoys the Palace Park or who is interested in learning how such a large city park is operated. The page is in Norwegian.